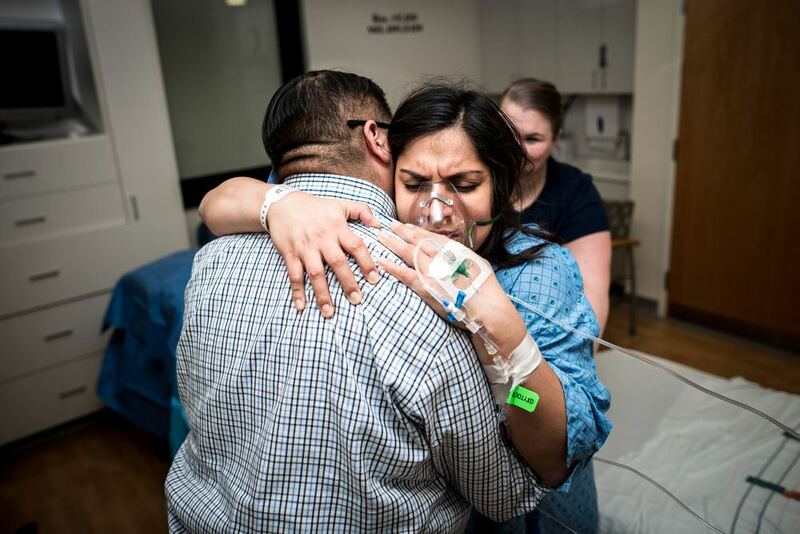 I met this family last second and the decision to document thier birth came only days before they ended up in the hospital after her water broke. It was a last second decision, but it was so easy to connect with them as humans and parents. Their doula, Julie Francom (with The VBAC Link) was there to help support them through their attempted VBAC. By the time they arrived at the hospital, her water had already broken at home. 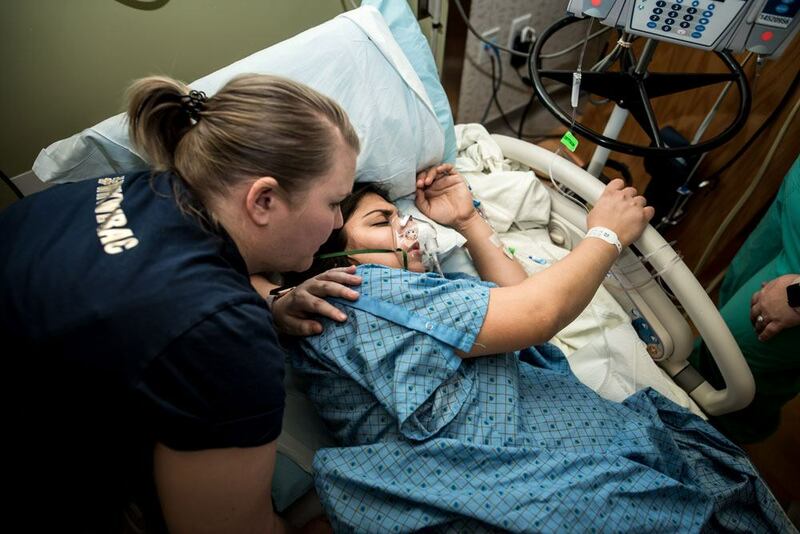 Through every contraction Julie and her husband worked together to apply counter pressure and help keep her comfortable during her unmedicated birth. She labored well and rode the waves of every contraction with grace, but ultimately it was determined that the baby was in a less than optiaml position for birth. Julie attempted some abdominal lifts to help position baby in a better position and it worked! She was fully dilated and ready push. 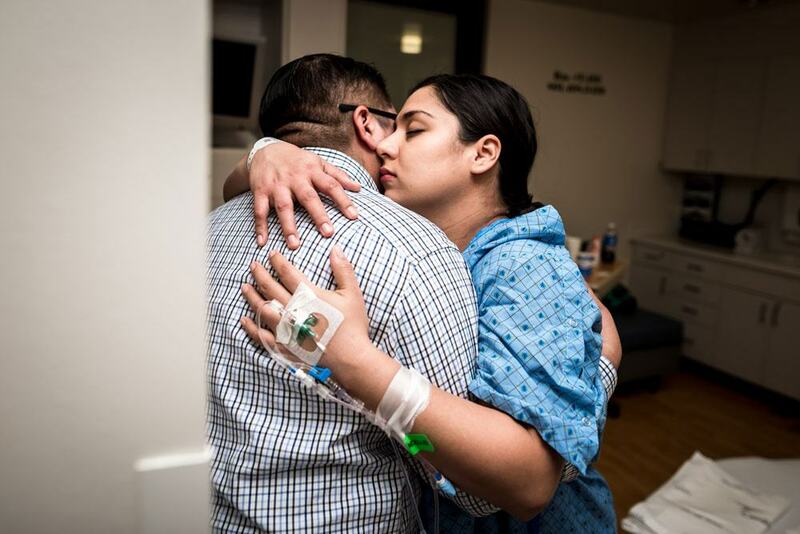 She pushed in various positions for about 2 hours, before the doctors ultimately decided they needed to take her back to an emergency c section due to a decrease in fetal tones. At this point, they were taken to a children’s hospital in the area where they stayed for a few weeks. Baby now seems to be doing great and the family is home and enjoying their time with their new addition! 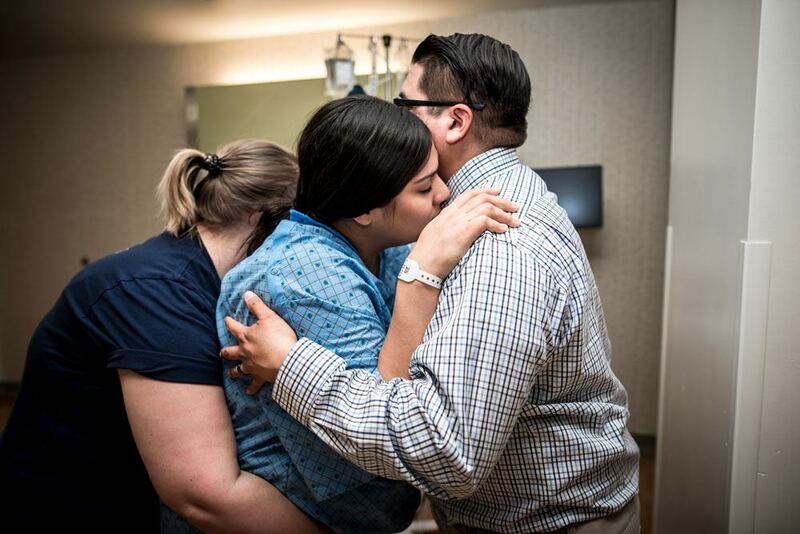 It was an emotional and scary birth, espeically for someone who was attempting a VBAC – but it’s also an important reminder that sometimes a birth story doesn’t go as planned and changing the plan can be needed sometimes. There is a great accronym called B.R.A.I.N. B – What are the benefits of this intervention? R – What are the risks of this intervention? I – What does your intuition say about this? N – What happens if you do nothing? What if you wait an hour or a day? Using B.R.A.I.N. can help you make informed decisions regarding tough situations during your birth. If you’re interested in booking a birth story with Salt City Birth and Newborn Photography, fill out a contact form here!